NT157 is a selective inhibitor of IRS-1/2, IC50 values at sub-micromolar doses (ranging from 0.3 to 0.8 μM), has the potential to inhibit IGF-1R and STAT3 signaling pathways in cancer cells and stroma cells of TME leading to a decrease in cancer cell survival. 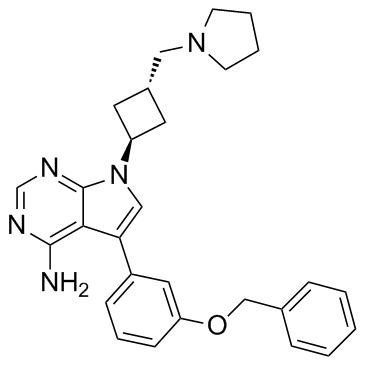 AZD-9362 is dual IGF-IR/InsR inhibitor. 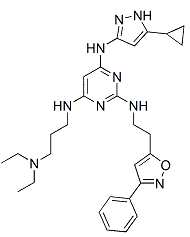 BMS-536924 is a small molecule ATP-competitive IGF-IR kinase inhibitor with with an IC50 of 80 nM. 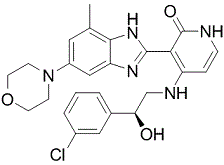 AZ7550 is a circulating active metabolite of AZD9291 and can reduce the activity of IGF1R with an IC50 of 1.6 μM. BMS-754807 is an orally bioavailable antagonist of human insulin-like growth factor type I receptor (IGF-1R) with potential antineoplastic activity. AXL1717 is a selective insulin-like growth factor-1 receptor (IGF-1R) inhibitor with IC50 of 1 nM.